We are having two days worth of celebrations whilst Gracie is off school. Today we decorated the house, dressed up and Gracie and Zach went trick or treating with their Grandma and Grandad. 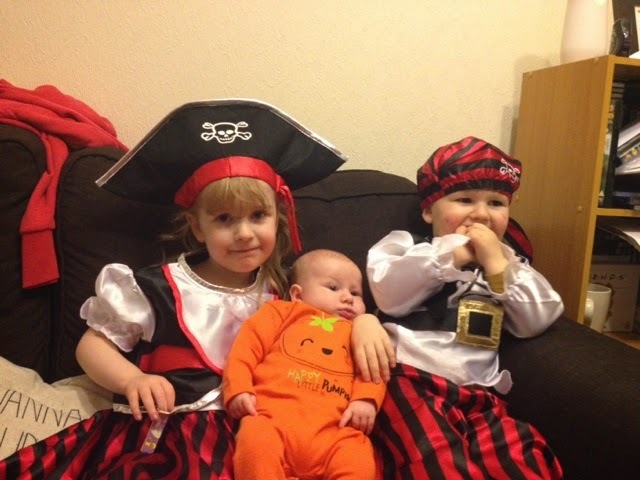 They looked super cute in their matching pirate costumes and insisted on replacing 'trick or treat' with 'Happy Trick or Treat' at all the houses! 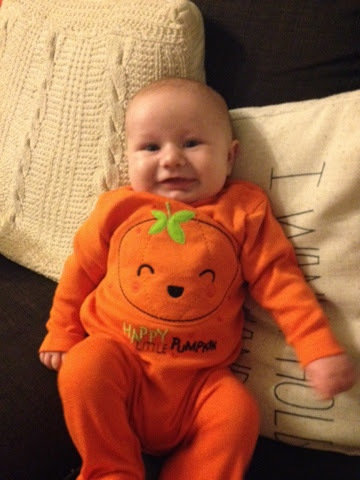 Tomorrow we will be doing craft activities and having a little family Halloween party. Do you celebrate Halloween? I'd love to hear what you've been doing! It has been lovely! We don't usually do this much but wanted to do something fun together.